This wreath exudes a warm, fuzzy welcome as it hangs on my front door. Pure fun! What a happy, cozy wreath for frosty winter days. And I just loved making it! Even if you are not a crafter, you can make this easy-to-put-together wreath! If you can roll yarn around a styrofoam ball YOU CAN DO IT!!!! And after it hangs on my front door for the winter season I’ll unravel some of the yarn and let the birdies use some it to build their nests. This wreath is not rocket science. Add more, use less… you can make it your own. styrofoam balls in 3 sizes (I used 3 inch, 2 inch and 1 inch balls. Anything close would be fine). 5 large, 12 medium, 18 small. Do not get smooth styrofoam, they are almost impossible to wrap… I tried! Use the standard type of styrofoam. yarn in different colors and textures. I used 1 skein for each color. My wreath colors are black, dark gray, light gray, sparkle gray, cream and white. I used colors that would look best on my front door. 1. 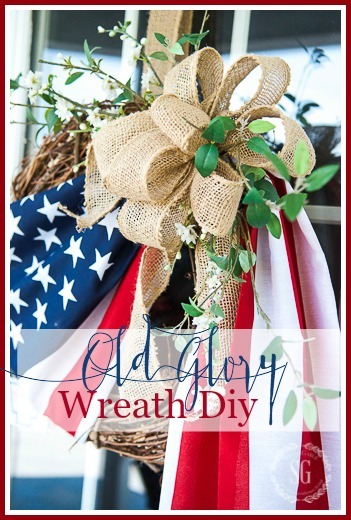 Start by wrapping burlap ribbon or strips around the entire wreath. 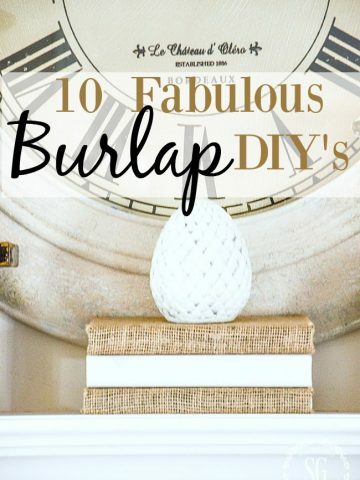 Secure the end of the burlap with a U pin or hot glue. 2. I chose 5 different yarn colors. I also chose a fun white fuzzy yarn. It reminded me of snow! 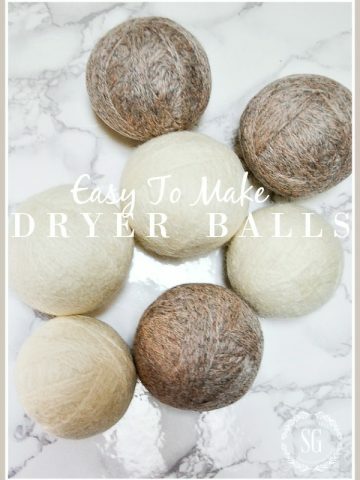 Wrap the styrofoam balls with just enough yarn to cover the all the styrofoam. Tuck the end of the yarn under the wrapped yarn to secure. Wrap all the balls. 3. Use the U pins or hot glue (I used both) to arrange and secure the yarn balls onto the wreath. Also tuck a pinecone and burlap ball in your wreath here and there. So, so easy!!! There is really no right or wrong way of arranging the yarn balls. Just snuggle them together. This is a wreath that will warm the hearts of all who visit! Remember to pin this to your DIY or WINTER Pinterest boards. You can follow me and see all the winter decor I am pinning HERE! 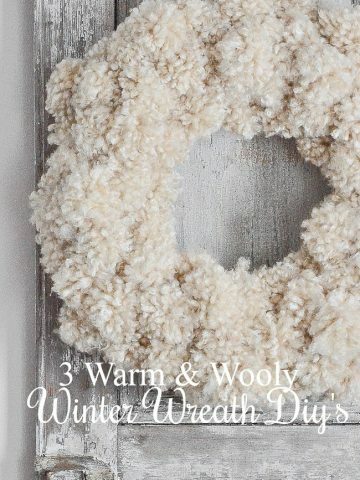 Love your warm winter decor wreaths! 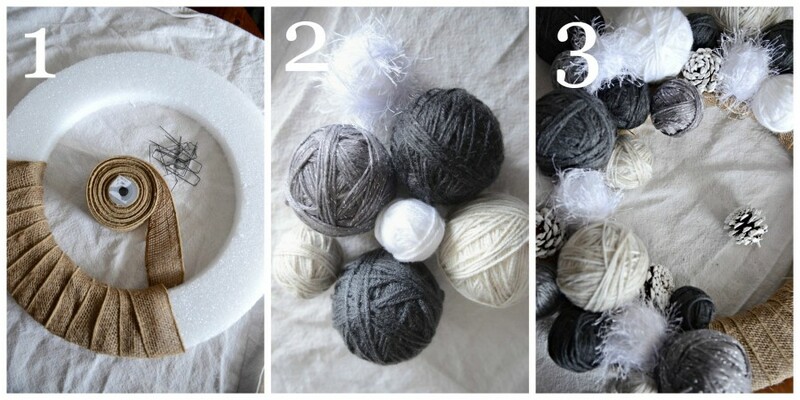 I’m thinking of making the yarn ball wreath, as I already have some yarn “in my stash”. I was also thinking of adding a couple of knitting needles and perhaps a burlap bow. It is such a fun piece and a great project to do on these cold, winter evenings/days. Thanks for sharing! 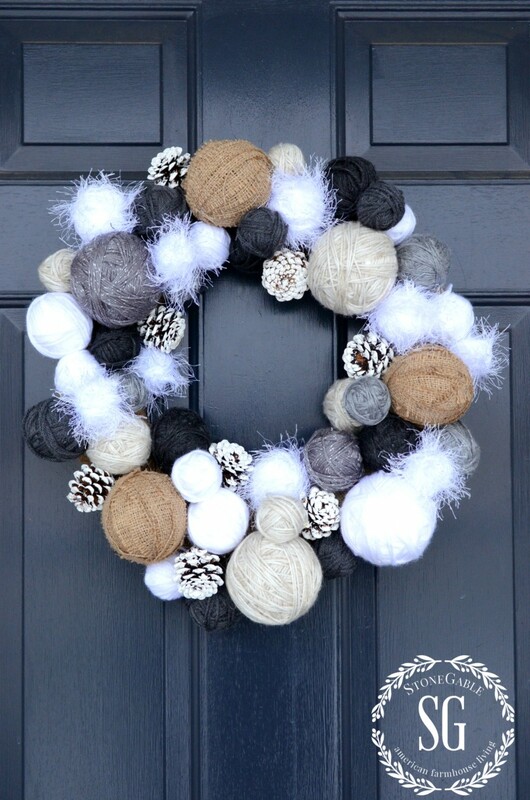 This is definitely one of my favorite wreaths you have made! The pom pom one is great too! Excellent! A wonderful way of getting rid of tons of yarn. 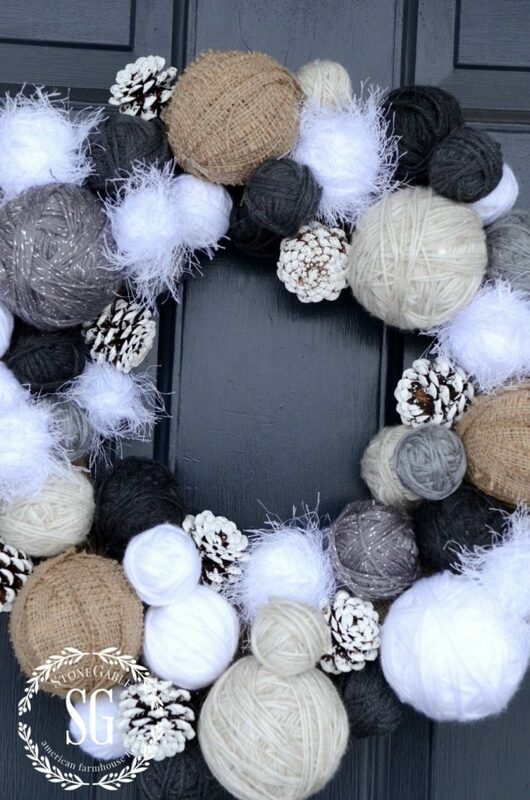 LOVE LOVE LOVE…like to use wreaths inside so this one is a real keeper…next on my to do list. Thanks for a super project. My favorite wreath yet Yvonne. Your creativity is amazing. This is the cutest wreath I’ve seen in a long time. Love the idea. Yvonne I love this idea and the wreath is beautiful! I am sending to my daughter! Beautiful, cozy and a little whimsical-love it to pieces! So crisp and sheik! I love it. The white fuzzy yarn reminds me of the snow owls. Clever inviting combinations. A warm welcoming door! Of course, what else would Yvonne’s door convey?! This is so adorable! Fabulous job, Yvonne! How beautiful! What a great wreath and the winter colors are fantastic. Definitely a wreath that can fit any style of home. Love! Guess I neex to get to Michael’s! Love, love, love it Yvonne!!! !…the colors are so perfect for your door too!! I don’t have yarn but I have a ton of fabric and ribbon…think I will use strips of them instead! Thanks for the great idea! What a fun project and it looks great. I love it! What a super clever idea! Thanks! Totally awesome….fun, quirky and unexpected. I love it. I love that description… yes, a little quirky!